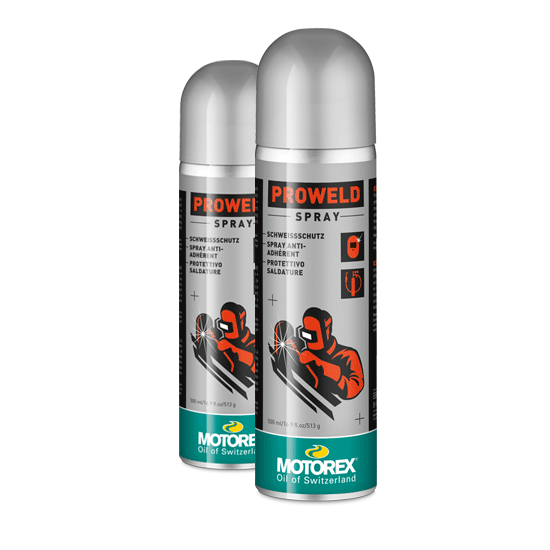 A range of sprays for a variety of applications. 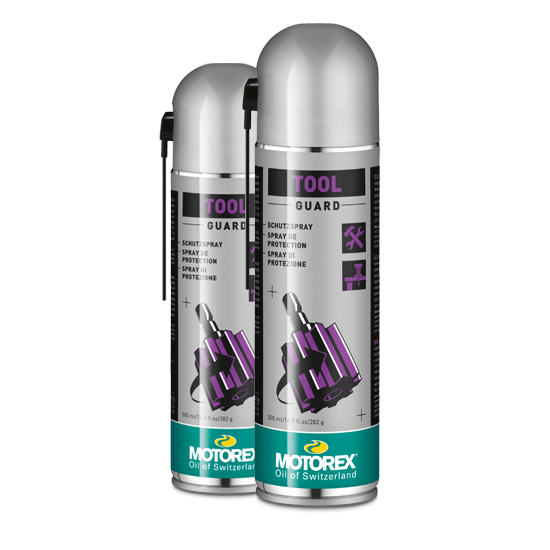 Indispensable for industry, trade, workshops and service stations. Lubricates all moving parts. Available in 500ml can size. Thin protective film that is an excellent preservative for tools, equipment, machines and antiquities. Available in 500ml can size. 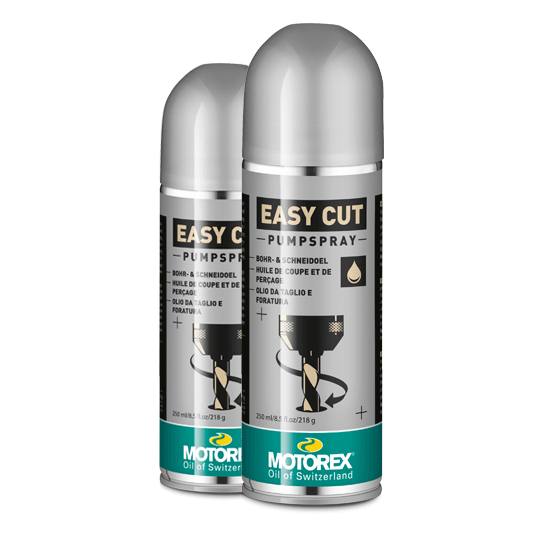 Air spray, free from silicones and solvents. 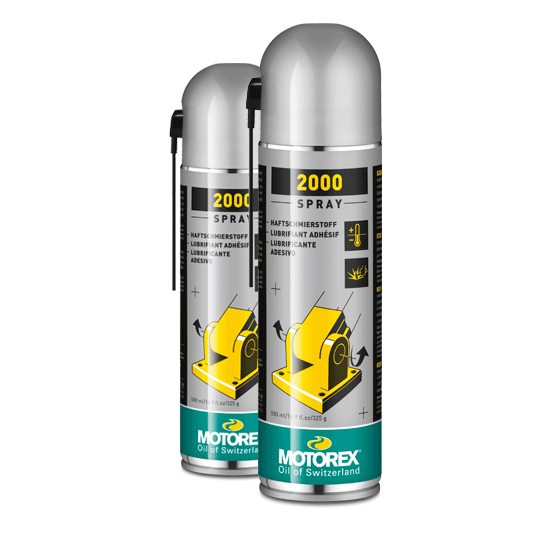 Not-flammable and high protection from corrosion. Available in 500ml can size. 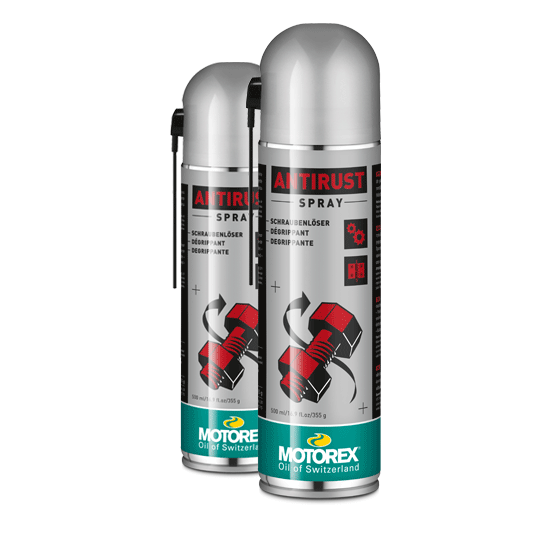 Rust remover and screw releasing agent with outstanding penetration. Protects from corrosion and water-repellent. Available in 500ml can size. MOTOREX spray PTFE is a dry lubricant, suitable as an anti-seize and release agent, which does not leave behind any oily marks. Available in 500ml can size. 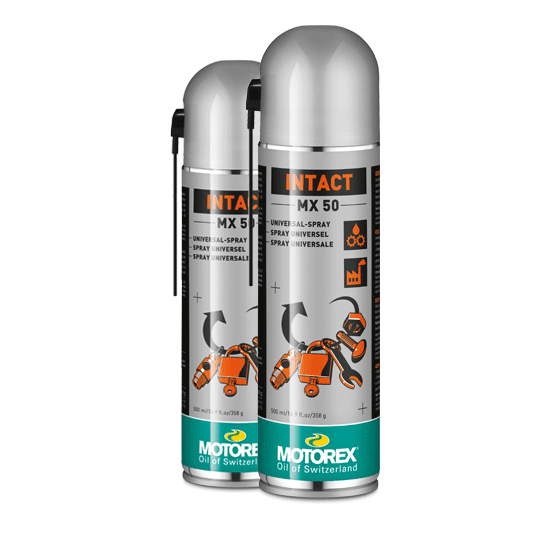 Fully-synthetic, high-pressure-resistant lubricant with long-term effect for universal application. Available in 500ml can size.